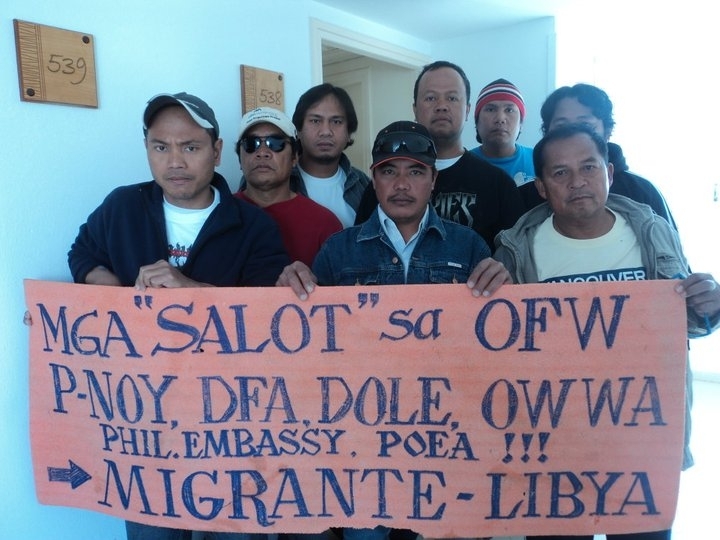 OFWs in Libya when the crisis there first erupted in 2011. The “Crisis Hotline” can be reached through mobile number 0932-3990231 or email address menacrisiscenter.migrante@gmail.com. Messages may also be sent though Migrante International’s website, http://migranteinternational.org where an online complaint form may be accessed. According to Migrante International chairperson Garry Martinez, they have set up the hotline because they continue to receive messages of distress and emergency from OFWs and their families who up to this day remain trapped in Libya and await urgent evacuation. All distress calls they receive will immediately be forwarded to the Department of Affairs (DFA) for immediate attention. 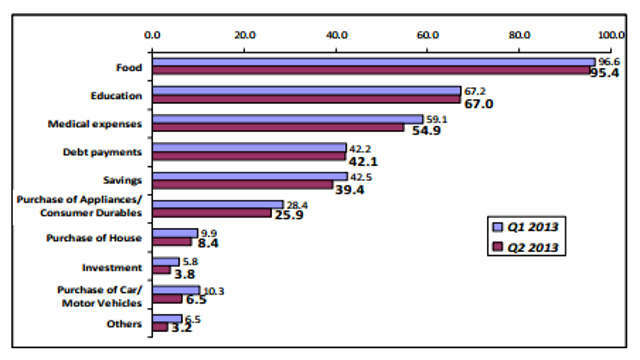 “Like before, the Philippine government’s so-called mandatory repatriation is not working. There is no active intervention on the part of the Philippine government to locate, secure and ensure the safe passage of Filipinos from conflict areas to PH posts. Aside from announcing it, there remains no clear blueprint from the government on how the mandatory repatriation is supposed to take place,” Martinez said. He said that because of lack of information, some OFWs have resorted to braving the dangerous streets to get to terminals to exit posts. “Their lives are in danger, especially now that the Egypt and Tunisia terminals are closed. Ano’ng ginawa doon ni DFA Sec. Albert del Rosario, nag-walk in the park? There is not a minute to spare, the government should immediately facilitate the evacuation of our Filipinos there. Other nationalities have been evacuated by their governments, ano pa ba ang hinihintay ng gobyerno natin?”said Martinez. Since violence escalated in Libya, a Filipino construction worker has been beheaded by alleged militants and a Filipina nurse was gang-raped. “It is way past the time for the government to simply ‘lament’ that Filipinos are not heeding the mandatory repatriation call. They have crossed that line long ago. The Philippine government’s failure to safely secure our kababayans and to facilitate their urgent mass repatriation has caused the atrocity against one Filipina and the gruesome death of a Filipino. It is now time for accountability, the injustice done to them is the BS Aquino government’s fault.